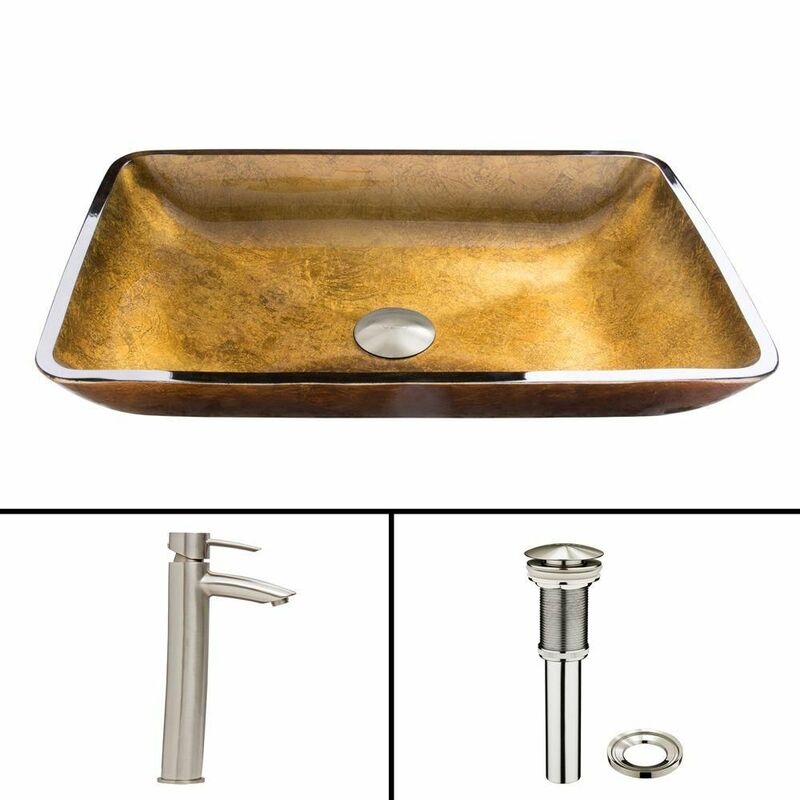 Glass Vessel Sink in Rectangular Copper with Shadow Faucet in Brushed Nickel is rated 4.0 out of 5 by 1. Rated 4 out of 5 by happy senior from I lovve the look it gkves to my bathroom. I am delighted that I choose the color. I was concerned about the color, but it was a great choice.